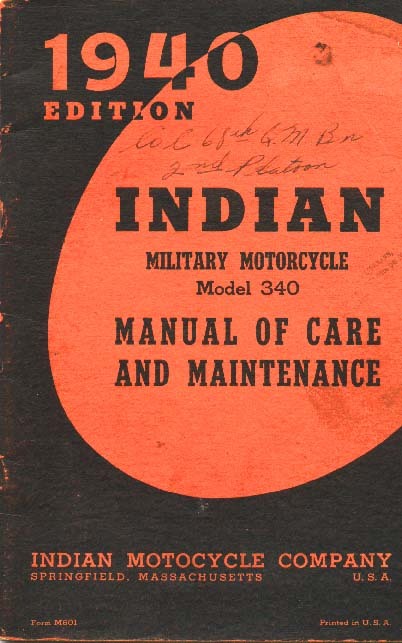 These pages contain the complete Model 340 Indian Motorcycle Manual. 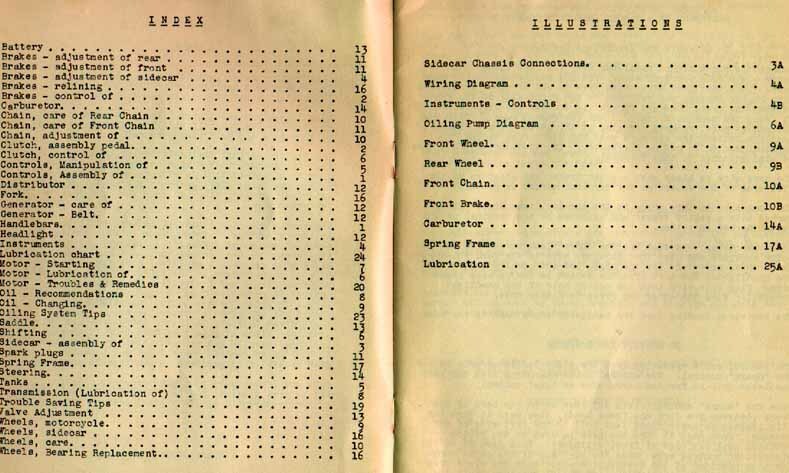 This manual belongs to my father, Harry G. O'Connor. 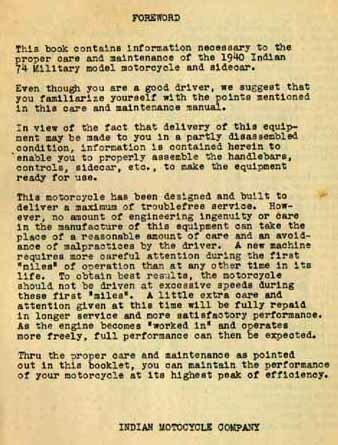 He has many other old motorcycle, car and truck manuals from the '30s and '40s. Please write me if this has been of use or interest to you or if you would like to see more materal of this sort.